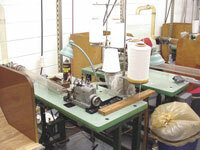 The knitting operation drives hosiery manufacturing. Structure and patterns, fashion and comfort, all are linked to the way yarn is transformed into sheer hose or socks. And knitting operations are where technology continues to evolve. Would you be interest in learning more? Attend our Hosiery 101/102 class and begin to understand the basics of hosiery knitting and dyeing. The Hosiery 101/102 course is intended for all types of people involved with the Hosiery Industry: buyers, retailers, suppliers, schedulers, supervisors, quality control, personnel, designers, and new employees. Product development for yarn companies - whether it’s socks for hand-outs, product testing or market development. 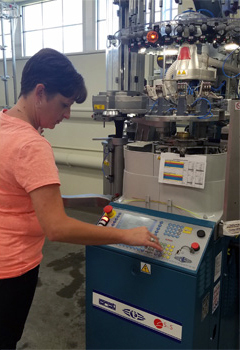 Technician training at the lab and in-plant. 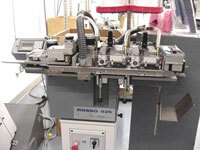 We offer sewing training on Turn-Sew-Turn and the latest automated in-line seaming equipment.